In this week’s Delucchi University, our ongoing internal education program, we explored the ins and outs of building websites. Senior Art Director Lance, Senior Digital Strategist Greer, and Digital Analyst Manager Jonathan waxed poetic about the detailed process, from wireframes to HTML to copywriting. 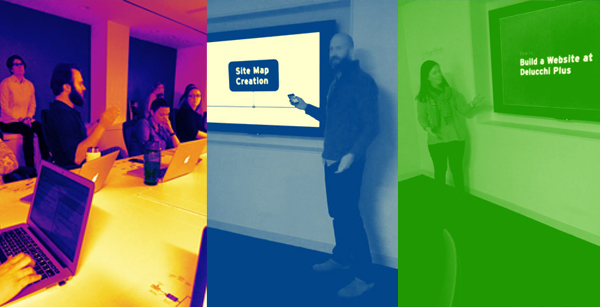 We discussed the methods our team uses for both client websites and our own website. Interested in website building? Contact us for a full copy of the presentation.